Mississippi barbecue has a few elements found in other states. The earliest extant commercial establishments, among them Abe’s in Clarksdale, date from the 1920s, when good roads and inexpensive cars catalyzed American automobile culture. Mississippi barbecue is ethnically diverse—Abe’s was and is Lebanese-owned, while Old Timer’s in Richland has a Greek proprietor. Community barbecues have a long tradition in the state and may be more central to the history of Mississippi barbecue than commercial establishments are. In Panola, Lafayette, and Tate Counties, goat barbecue has been a part of summer picnics and reunions for generations. The state’s oldest public barbecue event is almost certainly the Turner family’s Labor Day picnic in Gravel Springs, the small community that produced musicians Fred McDowell, Othar Turner, Napoleon Strickland, and the Hemphill family. On picnic weekends, goats are slaughtered and dressed, parboiled in big cast-iron laundry kettles over open fires, and then smoked briefly over charcoal. Music and dancing are led by bands of homemade cane fifes and drums that form circles with crowds dancing around them. Once found in African American communities across the South, this music remains a living tradition only in this place, and the picnics are more of a celebration of music than of the barbecue, beer, and pickled boiled eggs that fuel the revelers. 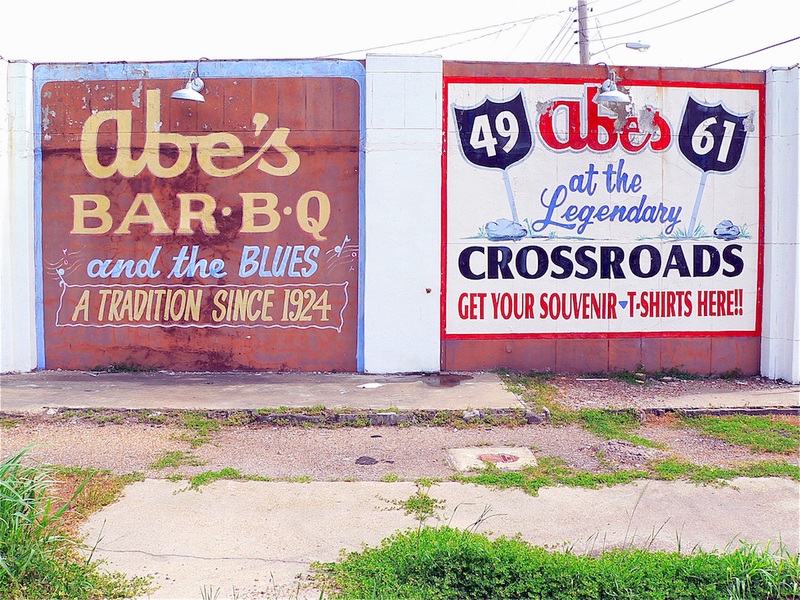 Mississippi’s commercial barbecue establishments follow three identifiable patterns. Many proprietors, like Deke Baskin in Oxford and Randy Lepard of Lep’s in Pontotoc, began cooking in a welded trailer rig. A trailer rig may be the easiest way to move from home barbecue to commercial—when Greenwood’s Leroy “Spooney” Kenter hauled his cooker from his backyard to his front yard, he started a small neighborhood business. The second kind of place has a traditional pit, the underrecognized hallmark of what many consider honest barbecue. The stable gentle heat and smoke that can be achieved in a block pit accomplishes slow cooking like nothing else. Both Old Timer’s in Richland and Leatha’s in Hattiesburg feature waist-high cinder-block pits set in tin-roof sheds. Mississippi barbecue is defined by family relationships. At Leatha’s in Hattiesburg, Leatha Jackson’s daughters take orders and declare that they have the best barbecue there is. At Westside, Mr. Reaves and sons make the barbecue and Mrs. Reaves bakes the cakes. The Shed in Ocean Springs—one of several new barbecue places that have opened on the Gulf Coast since Katrina—grew out of a family’s campground business and now has a huge outdoor party area where blues music goes along with ribs and shoulder and a sweet, mild sauce that may be the one constant of Mississippi barbecue.